Designed for universal compatibility with most NVG mounts, Ops-Core Shrouds provide a secure attachment at the front of the helmet for NVGs, video cameras, illuminators, and other components. 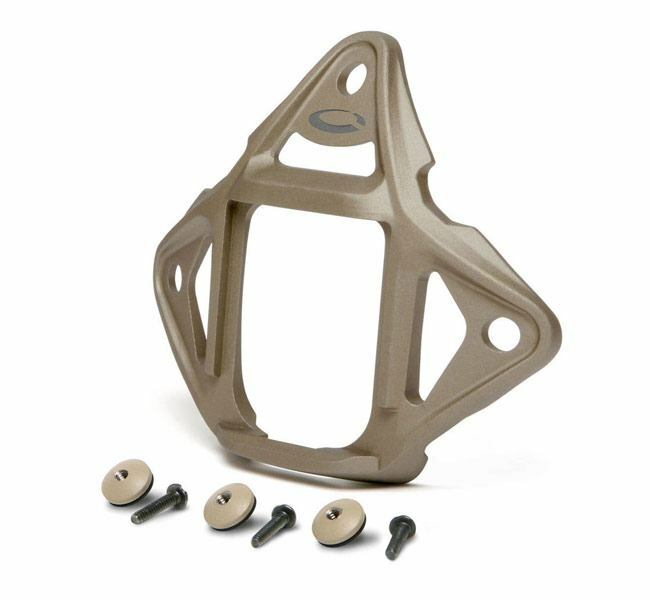 Choose the lightweight Skeleton Shroud, which provides multiple attachment points for added strength; the Skeleton One Hole Shroud for easier installation; or the VAS, the original Ops-Core shroud, with less attachments and slightly higher weight to maintain consistency with previously fielded helmets. Both style shrouds are compatible with ballistic visors to offer several options for fully integrated face protection. 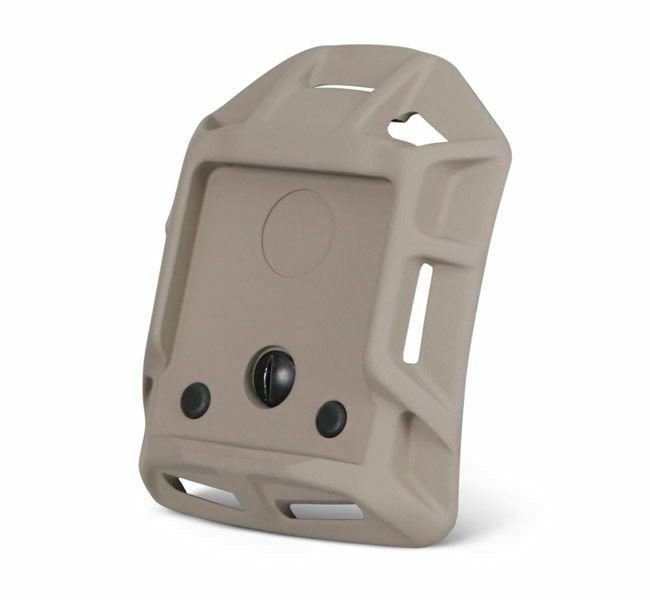 Modular Bungee Shroud (MBS) is the lightest weight night vision shroud available. 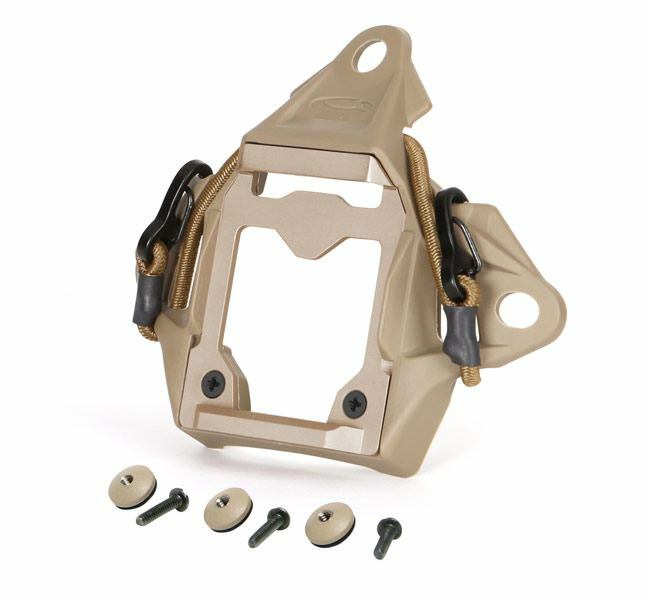 Comprised of a molded outer housing and a machined removable insert that can be swapped out to provide different mounting solutions within the same shroud platform. The Ops-Core MBS has an integrated NVG bungee that is less likely to interfere with accessories. The Ops-Core MBS uses a much shorter bungee which will be less likely to create a snag hazard and creates a low-profile option for stabilizing NVGs. Snag free, low profile design and contoured geometry eliminate sharp edges or corners that can create snag hazards for cabling. Features connection points for the carabineer or hook style Skeleton Rail Bungees. A low profile ballistic screw and T-Nut assembly improves ballistic performance and allows users to more easily install and remove the Shroud as required. Hardware works in conjunction with a rubber gasket that creates excellent adhesion to the shell for a solid, positive connection that provides superior NVG stability. Compatible with all sizes of U.S. Army ACH helmets, Gentex Tactical Ballistic Helmet (TBH) Systems, and the Gentex Special Operations Headset Adaptable Helmet (SOHAH).